Easter candy used to be my jam. Nowadays though? 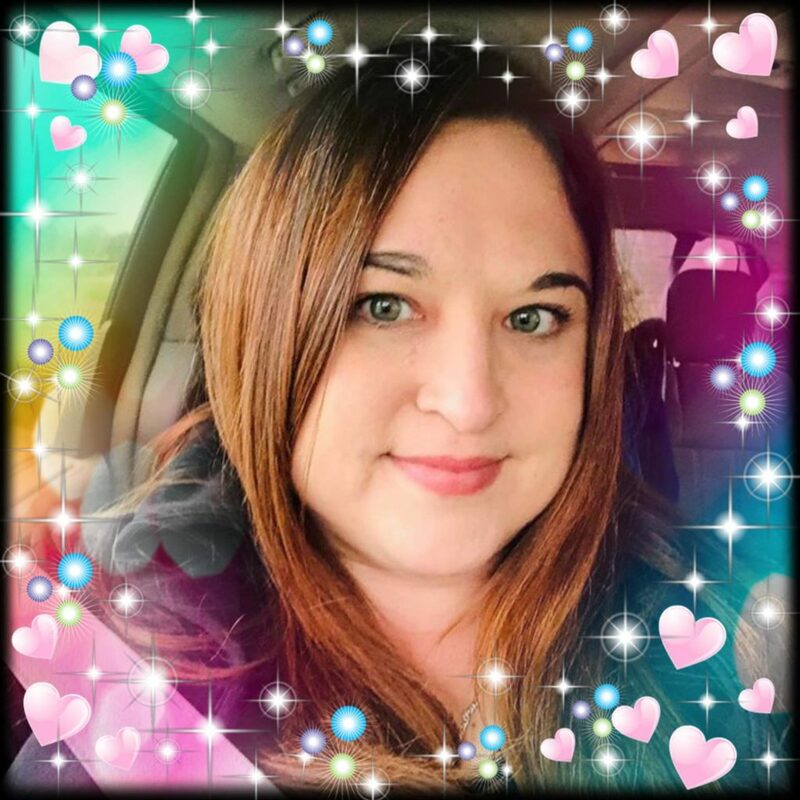 I could probably walk down the aisle and not be tempted by anything other than peanut butter eggs and a bag full of jelly beans…especially just the black ones. I absolutely adore black licorice. 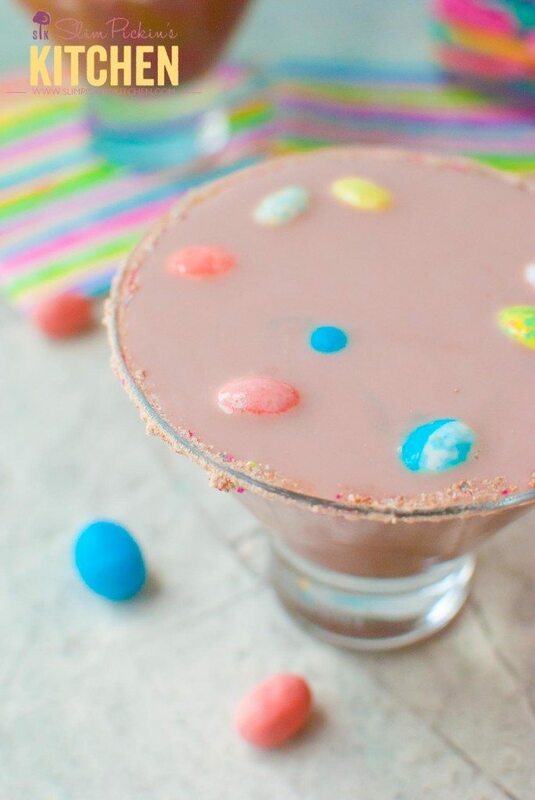 Robin eggs are definitely tasty, but they’re even better when they’re in martini form and drowning in malted chocolate milk and sweet vanilla vodka. My family used to go all out for Easter. My brother and I would wake up on Easter Sunday and barrel into the kitchen to see what the Easter bunny brought us. 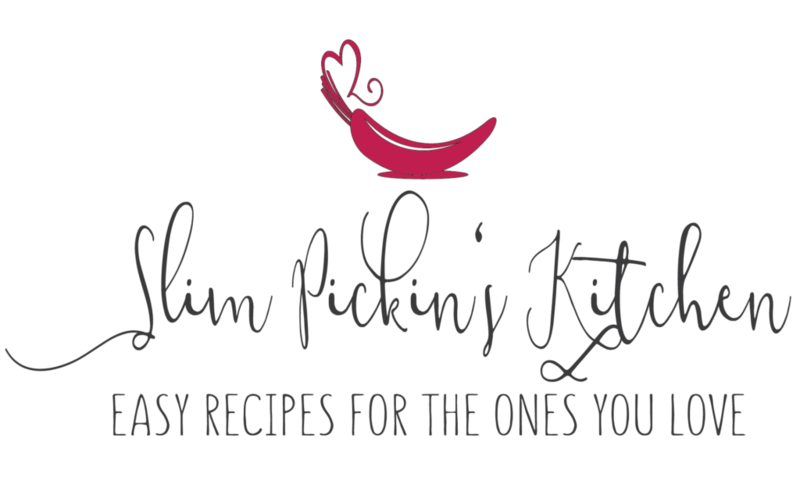 Elaborately decorated baskets encircled with pastel ribbon were waiting on the kitchen table for us, overflowing with Cadbury eggs, peanut butter cups, jelly beans, chocolate malt robin eggs, peeps and, the star of the show, our very own chocolate bunny. After sneaking a robin egg or two, we would get ready for church, and I’d wear my new fancy Easter dress, my favorite black patent leather shoes, white socks with lace trim, and sometimes even some matching gloves and a hat. After the service, we’d sit down to a home cooked meal fit for a southern belle: brown sugar crusted spiral ham, rich macaroni and cheese, seasoned green beans, black-eyed peas, scratch made biscuits and crisp sweet tea. Almost as a tax for all of her hard work, my mom would mosy on over to our Easter baskets and start riffling through the loot, grabbing a couple of robin eggs and jelly beans while asking us “Whatcha got?” After a few minutes of poking around, she’d request her most favorite Easter candy of all…the ears of the chocolate bunny. I hope to keep those traditions alive in Owen’s life as he gets older because they are such fond memories for me. As of right now, he’s too young to eat candy, so I’m filling his Easter basket with books, organic fruit snacks and juice boxes, and other little toys and nick knacks he’ll look at once then throw to the wayside so he can pull out all the stuffing from his basket. As he’s doing so I’ll be watching from the corner of the room, sipping on my Robin Eggs Chocolate Malt Martini and silently praising God from whom all blessings flow. 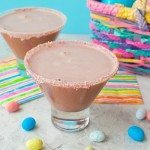 Robin Eggs Chocolate Malt Martini : The classic flavors of the chocolate malt Easter Candy, Robin Eggs, are blended together to make this delicious chocolate malt martini. 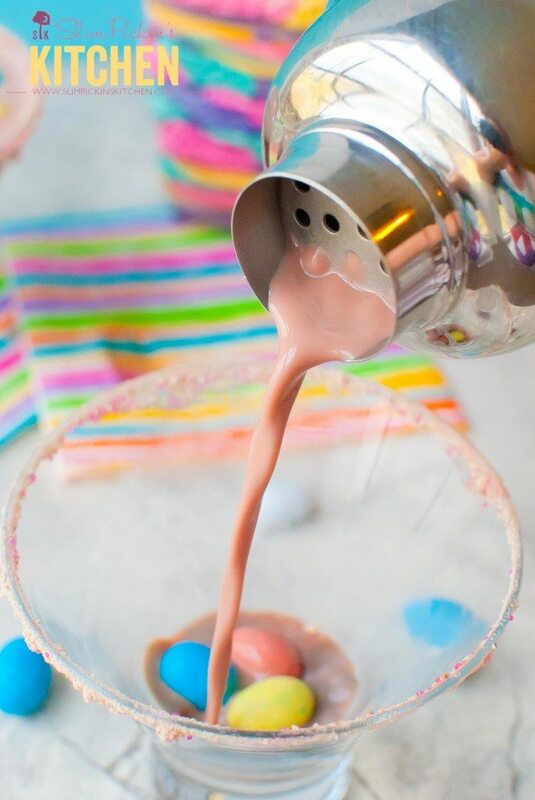 Add chocolate malt powder to the milk and stir to combine then place three robin eggs in the bottom of two martini glasses. Pour malted milk and vodka into a cocktail shaker filled with ice then shake until chilled. 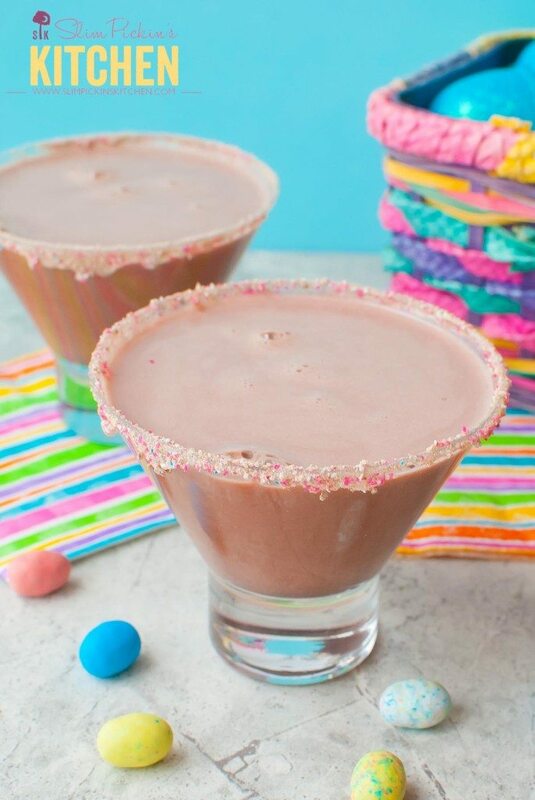 Strain into two martini glasses rimmed with crushed robin eggs.